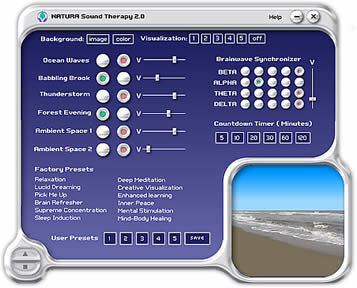 Natura Sound Therapy software features sounds of ocean waves, babbling brook, thunderstorm, forest evening and two ambient space music sounds. Each sound has its own volume control and sounds can be mixed with each other to form unique combinations. These nature sounds have been digitally recorded in stereo sound. NATURA also offers brainwave frequency patterns that can be added to the nature sounds or played on their own, enhancing mental focus and producing states of meditation and relaxation. NATURA includes visualizations as well which can be turned on and offy. Smart Wedding - Invitation and Planning Software for anyone planning a wedding. Alpha-NET 'Diet Tracker' - the most friendly tool for Diet Weight Control and Daily Energy Balance Control! Personal Trainer One - Is for anyone desiring to improve their fitness through a healthy balance of nutrition and exercise.